The 2018 Remembrance service took place on Friday 9th November. Poppies were sold to raise money for the Royal British Legion. 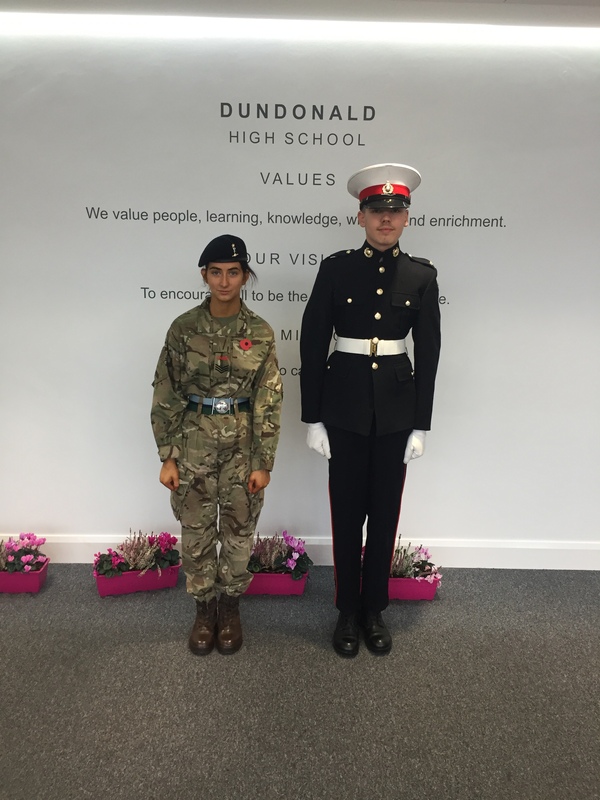 Our Head Boy and Girl took part in ceremony along with Jach Humphries from the Sea Cadets, who presented the poppy wreath to our Head Boy Luke Craig. The service marked the 100 year anniversay of the end of the war. Thanks to Mrs Murray and her team of volunteers for selling the poppies. Click here to see a PDF of our prospectus. Please contact reception for a hard copy.